You can upgrade your small bathroom by simply adding beautiful fixtures. You can add in-floor heating, use lush flooring materials, add chic cabinetry, or design beautiful countertops. All these projects are big-ticket items, however. They come at a stiff price. One of the more popular reasonably priced upgrades for small bathrooms is the addition of a towel warmer. You can install a towel warmer in just any bathroom. It makes for a great complement to any design scheme. It also comes in a wide range of styles and price. You are sure to find one that matches your requirements. A towel warmer is functional. 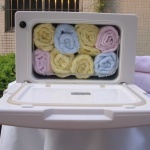 It keeps towels dry and fluffy. 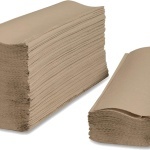 It keeps the bathroom warm, clean, and free from mildew, and gives a warm, welcoming and luxurious feel to your bathroom. 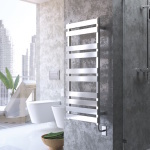 If you do not have a towel warmer in your bathroom yet, now is the time to get one and enjoy the convenience, comfort and luxury it brings. 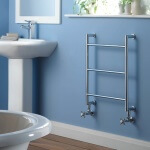 How do you choose a new towel warmer for your small bathroom? Taking a warm shower early in the morning is a refreshing way to prepare for the day. However, you tend to lose your cheerfulness if you step out of the warm shower straight into a chilly room. 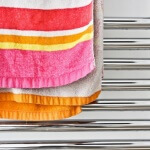 If you have a high quality towel warmer, you put on a warm robe or towel and feel nice and toasty. There are many options when it comes to wattage. 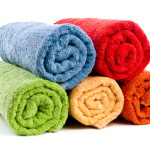 You can opt for a 150-watt towel warmer and spend just about 18 cents a day for your comfort. You can even get one with a lower wattage. 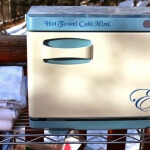 A 60-watt towel warmer is highly energy-efficient. The amount of power it uses is about the same as that of a standard light bulb. It operates for less than 9 cents a day – which makes it a pretty good buy. 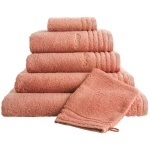 Warm towels and bathrobes ready for use instantly give a spa-feel to your small bathroom. There are several styles to choose from. 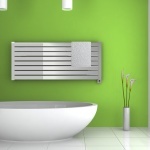 If you have a radiator to heat your bathroom, you can swap the radiator for a towel radiator warmer. 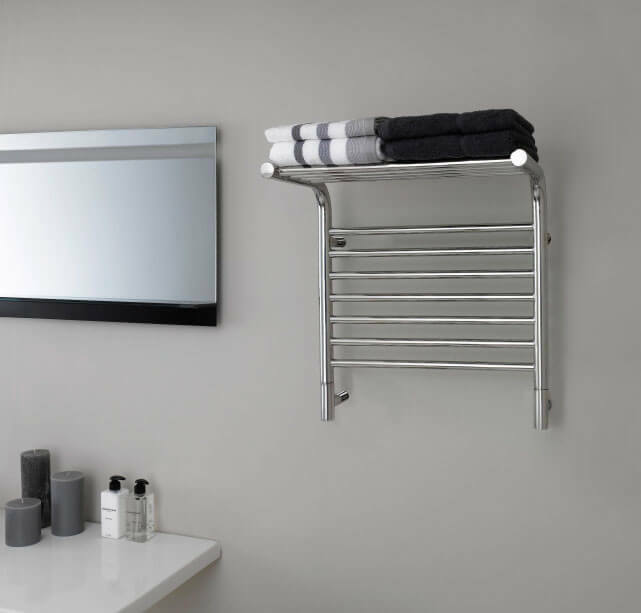 If you use electricity or gas to keep your bathroom warm, you can opt for an electric towel warmer which allows you to turn down the thermostat. If you just want a convenient way to dry your wet towels at the end of the day, you can choose a towel warmer that you plug into an electric socket if you need it. If you want your delicate lingerie to hang dry in your bathroom, opt for one with a convenient hanging rack. When choosing the finish of bathroom hardware, people go for one of two options – everything must match or everything must be different. If your shower bar, light fixtures, and faucet are made of brushed metal, opt for a brushed metal towel warmer if you want everything to match. If you want your bathroom to have various finishes, then choose a towel warmer of a different finish than those of your other fixtures. 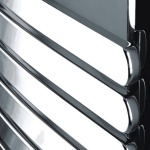 You can go for polished stainless steel, polished chrome, or brushed stainless steel finishes. You have two options – hard-wired or plug-in. If you want to go all out and give your bathroom a fresh, spa-like ambiance, go for the hard-wired model. A hard-wired towel warmer has all its wires hidden from view, giving your bathroom a “high-end” feel. If you favor convenience and flexibility over looks, you may prefer a plug-in towel warmer. This type is easier to install. You also have the option of moving the towel warmer from one room to another.